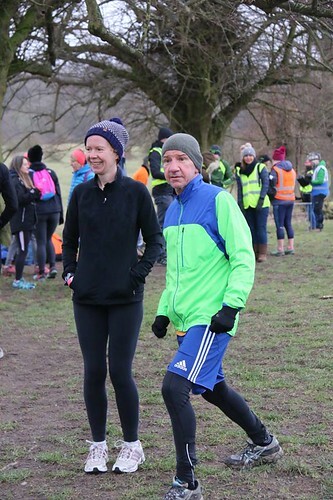 We start this week’s report with words from young Elodee Walker who recently achieved her milestone 10th parkrun – Thanks Elodee for helping me with this week’s run report…. 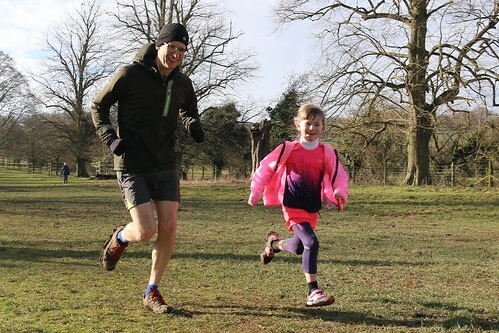 We always used to go walking around Tring Park and I liked the idea of running around it, so Mummy and Daddy thought I might like to try to the parkrun. Some of my friends have done it too and it sounded like fun. I love running with Daddy and I like running in the mud because it's slippy! I love that there is a lot of support at the parkrun and lots of people cheering me on. I like the views when we're running and I enjoy running past the pillars because they tell me that I'm nearly there! I feel happy and proud of myself for having run 10 parkruns and now I'm looking forward to trying to do 20. 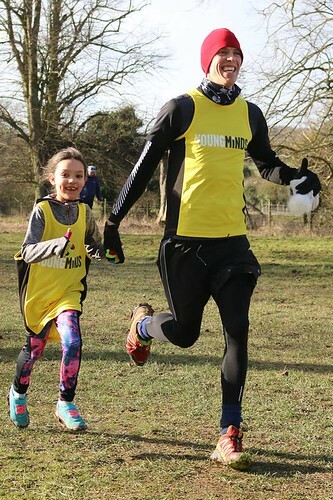 I'm looking forward to running in the summer and to when my younger sister does it more with us! I like that it makes me feel fit and healthy and I would say to anyone thinking of trying the parkrun to give it a go! We applauded our latest batch of milestones - so well done to Dean Sartin, our runniest runner this week celebrating his 250th, Lorraine Hurford celebrated the shirt-less milestone of 150, well done to Janet Reeve and Keith Stonestreet for their 100th runs and Helen Margetts for her 50th and Lowri Webster celebrating her Junior 10th. Meanwhile starting their own personal parkrun journies well done to Emma Leach, Daniel Murphy, Francesca Thorpe, Dan Weir, Amaia Dauncey, Robbie Thorpe, Kevin Thorpe, Ian Jenkins and Robert Rushton who all ran their 1st ever parkrun. 1st time we have seen 3 Guys and it’s not even the 5th November! James Foskett, Lorraine Hurford and Kevin Lynch continued their 100% attendance in year 4 – they’ll be cancelling their holidays soon! Normally I sign off with a “see you all soon” but we already have at #182 but that’s another story. (OK - so that might be something to do with there just being 8 hours before our next parkrun!) If you ever fancy giving us a hand with the run report writing, give me a shout as it's always good to get different contributors - maybe you have a hidden talent for it? Anyway lets get back to the numbers. Colin Hamnett finished 23rd on his 23rd parkrun - impressive! It was the joint closest to getting the same number of runners as the parkrun number ie we had 182 at parkrun #180 - last time we were this close was at #116 when we saw 118 - Will we have 181 runners at #181? Any stats about names? Well funny you should ask..
And we saw the 499th Tring parkrun by a member of Dacorum & Tring – who will run the 500th? See you in the morning - lets do it all again! It was the last January parkrun in 11 months and I am sure I speak for lots of us when I say thank goodness for the end of January. The days should be getting longer and warmer from now on! 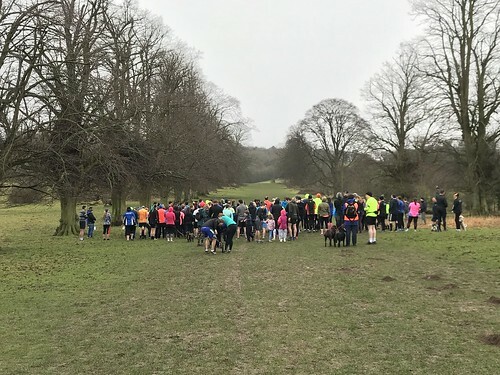 Still 187 budding parkrunners arrived at Tring Park for our 179th parkrun. 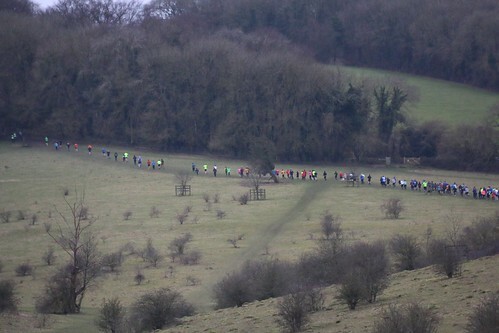 This week we welcomed 8 first time parkrunners and 14 tourists visiting Tring Park for the first time. Welcome to you all. It still amazes me how in the depth of winter PBs are set but 11 people successfully recorded PBs. Well done to each of you. Adam Swan, Alison Bill, Amelie Bunn, Andrew Powell, Andy Evans, Andy Neill, Anna Lambert, Anna Powell, Benjamin Bunn, Chris Bill, Chris Nicholls, Christopher Parker, Clare Murphy, Claudia Selina, David Severs, Dominic Veal, Elaine Bunn, Hettie Swan, Holly Bunn, James Foskett, James Maple, Jos Bartlett, Katrina Bond, Ken Douglas, Matt Beatty, Noah Roger, Paul Mccormack, Phil Roger, Philippa Storr, Rachel Wray, Richard Long, Richard Murphy, Ross Lambert & William Brookman. We are always looking for more volunteers. All of the roles are easy, fun and come with simple instructions. 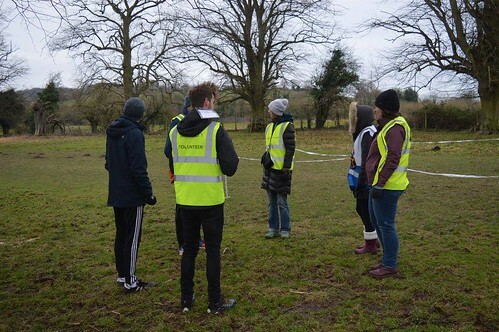 If you are willing to help us please visit our volunteer roster http://www.parkrun.org.uk/tring/futureroster/ to see what roles we have available. Please then email tringhelpers@parkrun.com to let us know you can help. It wouldn’t be a Tring parkrun report without our super statistics. Let’s see what the super computer kicked out this week. Patricia Cue and Kaye Quinn were running their 467th and 442nd parkruns respectively. These are the 2nd and 3rd highest numbers that we have ever seen at Tring and indeed our highest 3 are now all female. Visitor Carolyn Britton ran her 100th parkrun. Junior James Herbert ran his 10th parkrun. 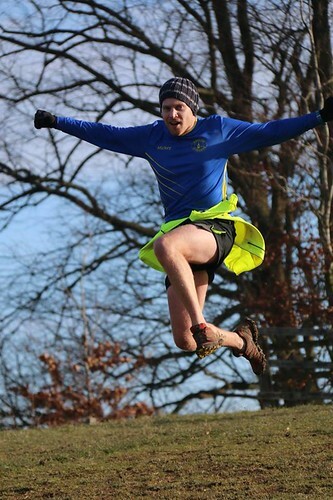 Kevin Lynch sets the 10th longest ever Tring sequence with his 22 Tring parkruns in a row. Zoe Chappell achieved 2 PBs in 2 weeks. 50th appearance of the name Darren. 400th appearance of the Surname Bladen and 100th by Williams and 50th by Relph. Of those who've run at least 5 times at Tring, Enid Fleetwood smashed her PB by 3:03 - Wow, PBs also for Paul Crudge (0:24) and Zoe Chappell (0:21). 1st time we have seen 3 Handy Cross Runners at the same event. 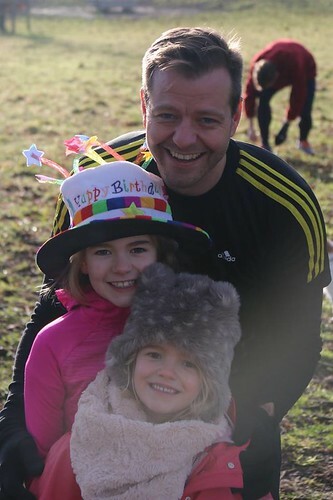 Jonathan Pegg removed himself from 12th place on the UK list that you don't want to be on - the “Visited most different parkruns without a visit to Tring” – having seen 175 others already! We hope you enjoy this week’s parkrun. 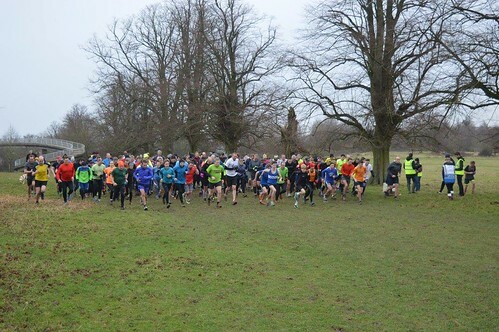 On Saturday the 27th of January we had Tring parkrun number 178. 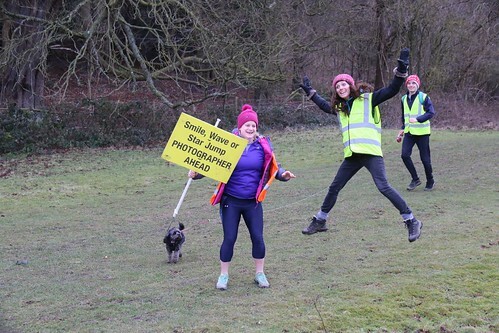 As run directors we often have the privilege of watching the run unfold around us, we get to observe the little moments that truly make parkrun what it is, moments that otherwise we would miss when we run. Last Saturday I was reminded of just that. I watched a friend's beaming two year old run between our event director and another run director for a cuddle before clapping some runners over the line. He had just completed a buggy run with his Dad. I was reminded once again that Tring parkrun is so much more than a run in the park. Such a parkrun could not happen without our wonderful volunteers. They are all heroes... especially at this time of the year! Huge thank you to the 23 volunteers who helped last week's run happen, namely John Appleby, Matt Beatty, Alison Bill, Chris Bill, William Brookman, Sam Evans, Gary Evans, Andy Evans, Anna Fryer, Rona Gibson, Thomas Gray, Katie Haines, Anna Lambert, Ross Lambert, James Maple, Richard Murphy, Stuart Page, Carole Page, Andrew Powell, David Alan Severs, Dan Storr, Philippa Storr and Victoria Wilson. Well done to Mairi Anderson who achieved her 50th shirt, thank you for those delicious cakes. Congratulations to the 9 runners who completed their first ever parkrun, we hope you enjoyed it. 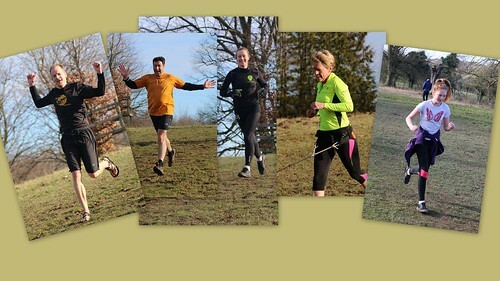 12 tourists made their first visit to Tring, welcome, we hope you come to visit again and 15 individuals achieved PB’s. Well done to all of you. An aesthetically pleasing top & tail to our results ranging from 20:02 to 1:00:01. 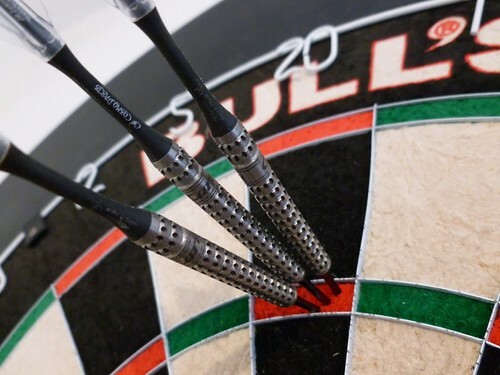 Our Year 4 100% club is down to 3 members with just Lorraine Hurford, James Foskett and Kevin Lynch left. 2 PBs in 2 weeks for Huw Jones, Kay Ison and Adrian Kelly. Successive minutes 39/40/41/42/43 all had exactly 3 finishers. We saw our 300th Thomas and our 100th Karen and our 50th Victoria. 1st time we saw 2 Henriettas and 1st time we have seen the names Cass and Miami. 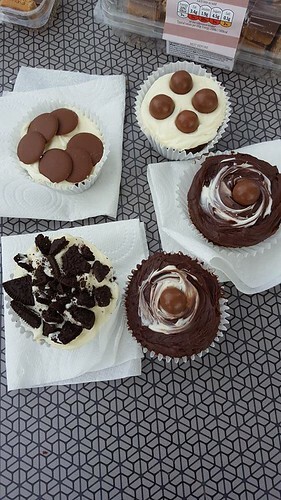 Cass was celebrating a 110 mile fell run and had brought some excellently decorated cakes all the way from Sheffield - our best tourist cakes that we’ve had so far – you’re welcome to visit again! The 100th time we have seen the Haines surname courtesy of one of our RDs Katie as she becomes the 22nd person to run 100 times at Tring. Juliet Mitchell became the 62nd person to run 62 times (She is good at this as also 54th to run 54 and 58th to run 58). Of those who've run at least 5 times at Tring, just 2 PBs this week, Zoe Chappell (0:11) and Bethany Hanson (0:09). We saw the following clubs for the 1st time; On the Run Pitstone and the Blackheath & Bromley Harriers AC. Hope to see you all in the morning for another great run.